Kings Brand Rose Gold Metal & Frosted Tempered Glass Rolling Kitchen Serving Cart. 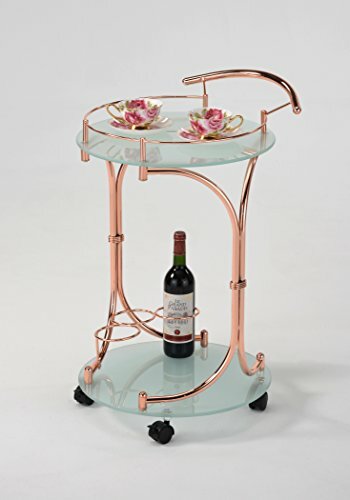 Serve food and drinks in style with the antique look of this rose gold metal and glass cart. Materials: Metal Frame; Tempered Glass Shelves; Plastic Wheels. Finish: Rose Gold Frame; Frosted Shelves. Dimensions: 20"W x 18"D x 29"H.